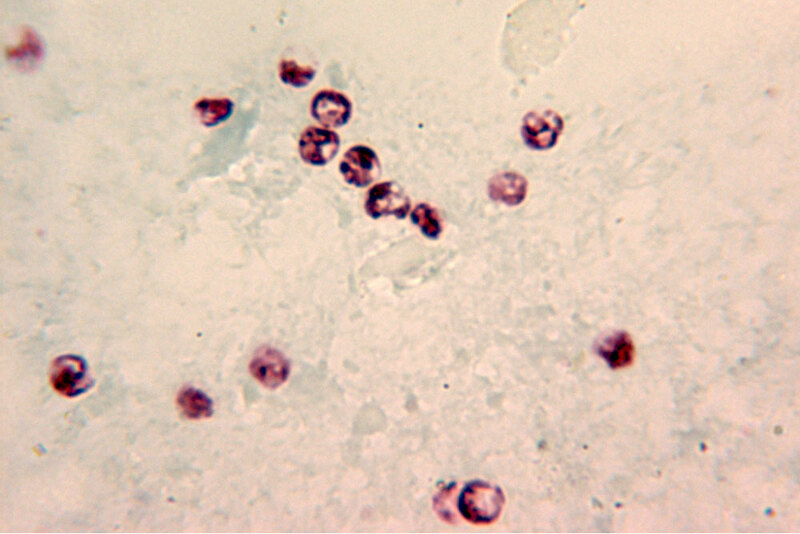 Cryptosporidium parvum is an intestinal sporozoan parasite. Cryptosporidiosis occurs sporadically in humans and is – as a rule – a self-limiting infection. It can become a severe disease in immunocompromised patients. Infection sites are within the gastrointestinal, biliary and respiratory tracts.